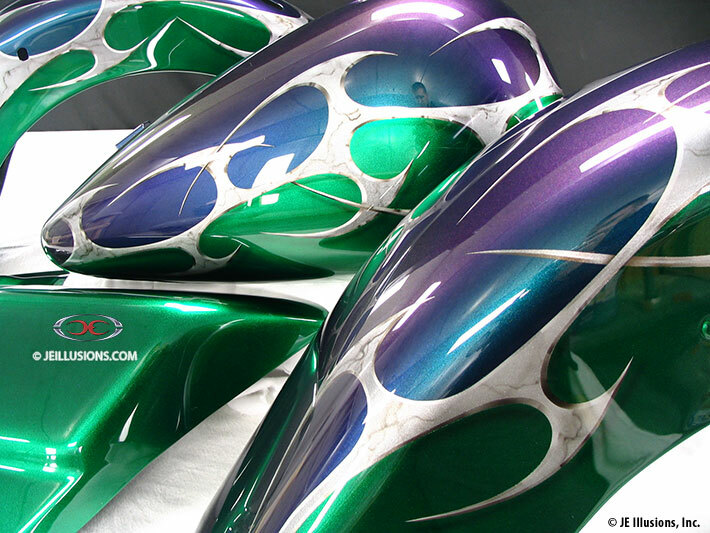 This custom paint set features a green tone on the bottom with a color shifting blue/purple on top separated by a metallic blade design. The colors alone on this set are amazing! 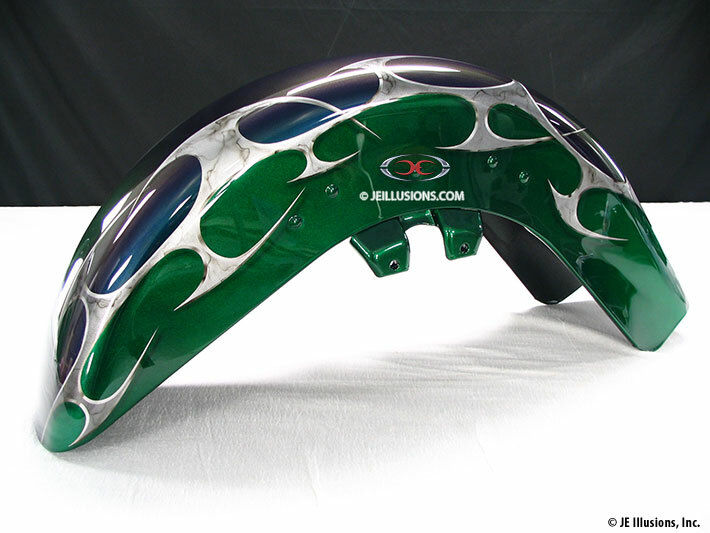 There are 8 coats of candy apple green over a special tri-stage sparkle, the colors of which simply cannot be captured by a digital camera -- imagine a Green Jolly Rancher candy, only much deeper. The color shiftingprism paint on top reveals shades ranging from purple and blue to turquoise and gold when viewed in the sun. 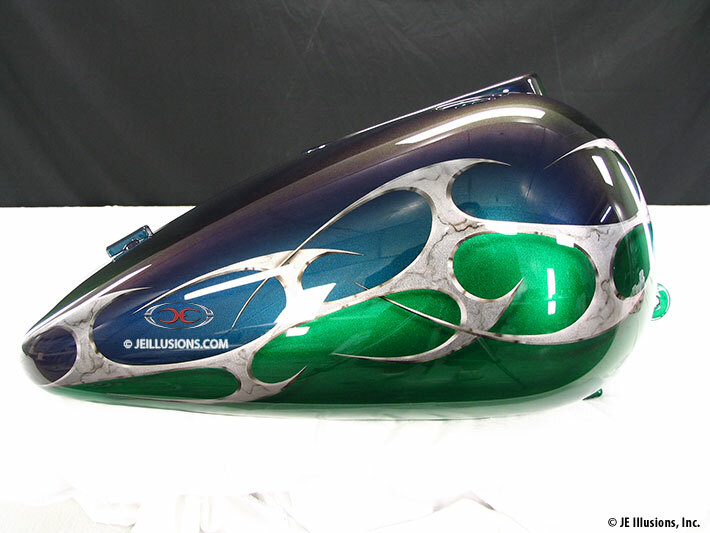 The cutting edge metallic blade graphics are chiseled at the edges and give the illusion of being machine routed for an ultra-realistic 3d effect. 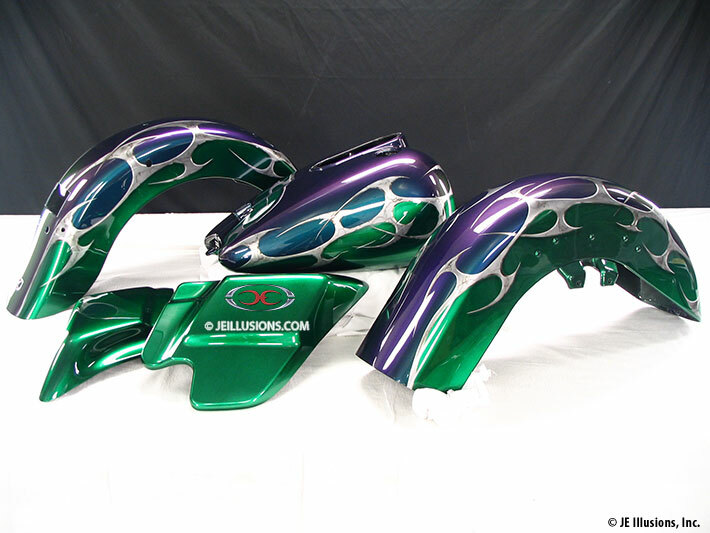 The side covers harmonize with the green in the tank and fenders.